Learning to “read” the earth – that’s the objective pursued by the Research Group for Earth Observation (rgeo). The foundation for research in the rgeo-team is modern geographical work methods. The staff pursues current questions in geographical science, geographical methods and geographical education in projects worldwide. 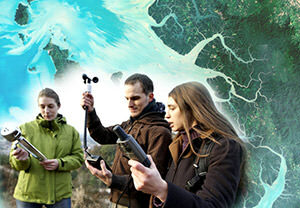 The research areas of the Research Group for Earth Observation at the Heidelberg University of Education and the University Heidelberg cover a wide range of geography from professional development concepts in environmental education to the remote-sensing based analysis of environmental changes. Find more news on our news-page.